Stephen Pedersen and Jeanne Byrne, who own and operate High Ground Organics in Watsonville, California, are very dedicated to sustainable farming. They grow a variety of certified organic fruits and vegetables on their nearly 50-acre farm. Most of their produce is sold through their Community Supported Agriculture (CSA) program, and they also sell at their farm stand, at local farmers’ markets, and a few select local produce stores and restaurants. They truly stand out for their farming and land stewardship practices, which include restoring land along the slough, improving soil quality with conservation tillage and compost, and providing habitats for beneficial insects. Stephen Pedersen was first introduced to farming while working for his aunt and uncle in Aptos, on the California Central Coast. Committed to starting his own farm, he leased 3-acres in 1997, and started a small mixed vegetable CSA. Now, their nearly 50-acre farm is comprised of different plots. 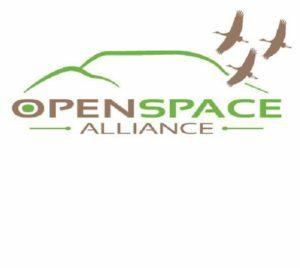 The home farm is located on the Harkins Slough in Watsonville, which they purchased in 2000 from the Open Space Alliance; 20-acres of this property have conservation and agricultural easements placed on it which restrict development or farming. With a portion of their property under a conservation easement, they decided to not only leave the land undisturbed, but to restore it as well. 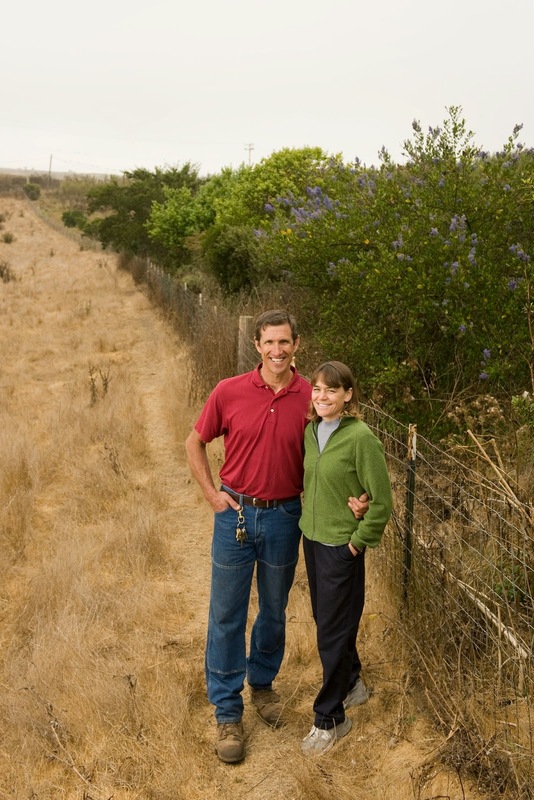 In addition to their home farm, Stephen and Jeanne also have land in nearby Royal Oaks and lease an additional 18-acres in Watsonville. Restoring the land by the slough and implementing more sustainable farming practices has taken knowledge, time and money; fortunately, High Ground Organics was able to partner with local organizations for support. The land under conservation easements near the Harkins Slough was covered in weeds, but with the assistance of local organizations and an ecological restorationist, they have transformed the land to a more natural state with diverse native plants. Not only do they value caring for the land that surrounds their farm, but they also have created a very sustainable farming operation. Utilizing the unique climates on their different farms they can grow a diverse range of fruits and vegetables, which is not only beneficial economically, but environmentally as well. The crop diversity allows for a crop rotation plan that increases soil fertility and prevents soil-borne diseases and pest build-up. High Ground Organics uses compost to improve the water retention, permeability, and aeration of their soil and only use organic fertilizers. Jeanne and Stephen use conservation tillage practices, which reduce both fuel use and soil compaction. They are strategic in planting on contoured land to prevent erosion, sometimes using terraces to better manage steep hillsides. Additionally, they decrease erosion by planting perennials, like apples and blueberries, on hillsides, which reduces disturbances of the ground. Steeper areas are taken out of production earlier in the fall, so that a strong cover crop can be established before the winter rains can cause loss of topsoil through runoff. High Ground Organics’ fields have cover cropping in winter and summer to improve soil fertility, lessen the amount of weeds, and reduce topsoil loss during heavy rains. Pesticides, even those approved for organic production, are never used on the farm. Instead, they have planted hedgerows of native plants throughout the farms that serve as habitats for beneficial insects. They use organic seeds and seed stocks whenever possible. The projects at High Ground Organics were made possible by utilizing the knowledge base and funding assistance programs of local organizations. Dedicated to promoting long-term sustainability, they have participated in studies, which will add to the existing knowledge for organic and sustainable farmers. Stephen and Jeanne have been recognized for their true dedication to environmental stewardship; in 2009 they received the Agricultural Water Quality Alliance Stewardship Award and they were finalists in 2012 and 2013 for the Leopold Conservation Award. Their dedication to sustainability and caring for the land has served as an exceptional example for other Californian farmers.